Liverpudlian Dunbar had played with The Mojos, John Mayall and Jeff Beck prior to forming his own blues-based band in 1967. An early version of the band comprised Dunbar, Peter Green, Jack Bruce and Rod Stewart recording a song called Stone Crazy for Blue Horizon but it was not issued at the time. It appeared several years later on History Of British Blues along with Cobwebs, the flip of their first 45. The early albums are fairly routine blues records. 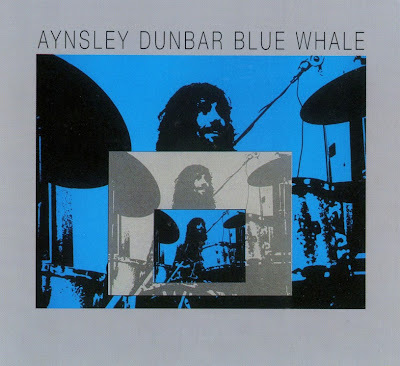 Blue Whale veered more towards progressive rock with lots of improvisation. It includes four long tracks written by the band's vocalist Paul Williams and a version of Frank Zappa's Willie The Pimp. The best track is It's Your Turn. Later in the seventies he moved to America. First, joining The Mothers Of Invention, then subsequently moving into session work for David Bowie among others. In 1974 he filled the drummer slot in Journey, a San Franciscan band, and in 1979 fulfilled the same role for Jefferson Starship.